A craftsperson knows what she’s making—and wants to make it well. She buys quality materials, follows a plan, and attends to details others might not notice. Craftspeople who do this find themselves in demand. Artists are different. A lot of the time they don’t know what they’re making. So, they mess around—with no guarantee of success. On occasion, they discover something new. When they do, we pay attention. This is because captivating art takes us somewhere we didn’t expect. There’s crossover between art and craft. Craftspeople explore through research and development. This can result in innovations like the iPhone. Conversely, even groundbreaking artists sometimes follow formulas. 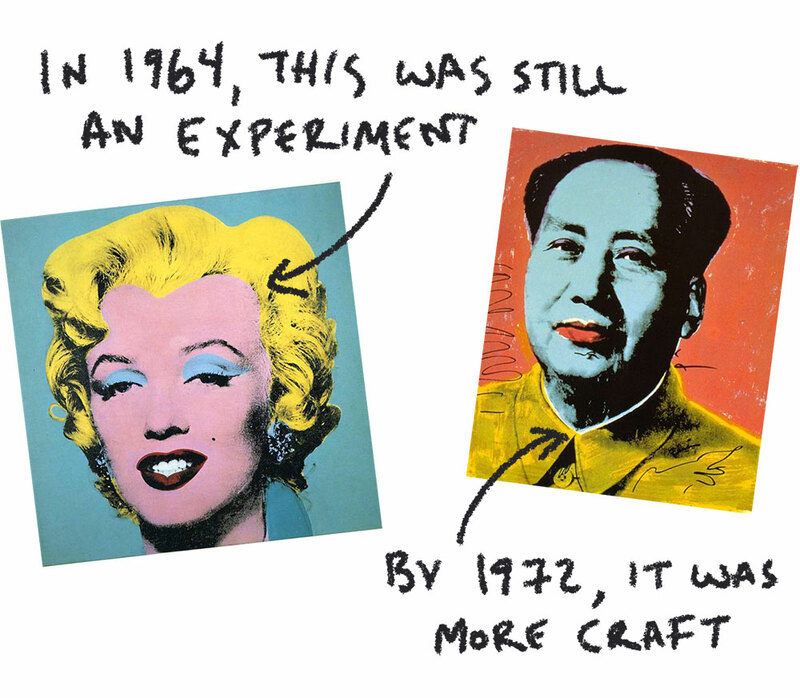 This might be why Warhol’s Marilyn looks so much like his Mao. Pictured on left: “Marilyn” by Andy Warhol. Pictured on right: “Mao” by Andy Warhol. © Andy Warhol; Fair Use. Exploration and craft are both important. The risk comes when you mix the two up. This happens when you over-commit to something with an unknown outcome. I compare this to pouring a concrete foundation—before you settle on a house plan. This might be a bad example. What idiot pours a concrete foundation for an unplanned house? Sucky examples aside, I’m sure you’ve seen people do these sorts of foolish things. They commit their life savings to building a product that no one wants. They sign a costly lease before knowing how much money they’ll make. They commit to an ad campaign—without being able to express how their company is notable. While it’s hard to know whether something will work out, you can take steps to get a better sense. You can do this with doodles. Doodles take many forms: Doodles are of test batches you make—before you order in volume. Doodles are the items you sell from a food truck—before you lease a storefront. Doodles are the new message you write your sandwich board every morning—before you paint a slogan on your trucks. There’s little new in what I’m saying here. Some refer to this approach as “failing fast”. I hate this term, because it tricks people into thinking failure is the point. Others talk about minimum viable products (MVPs). 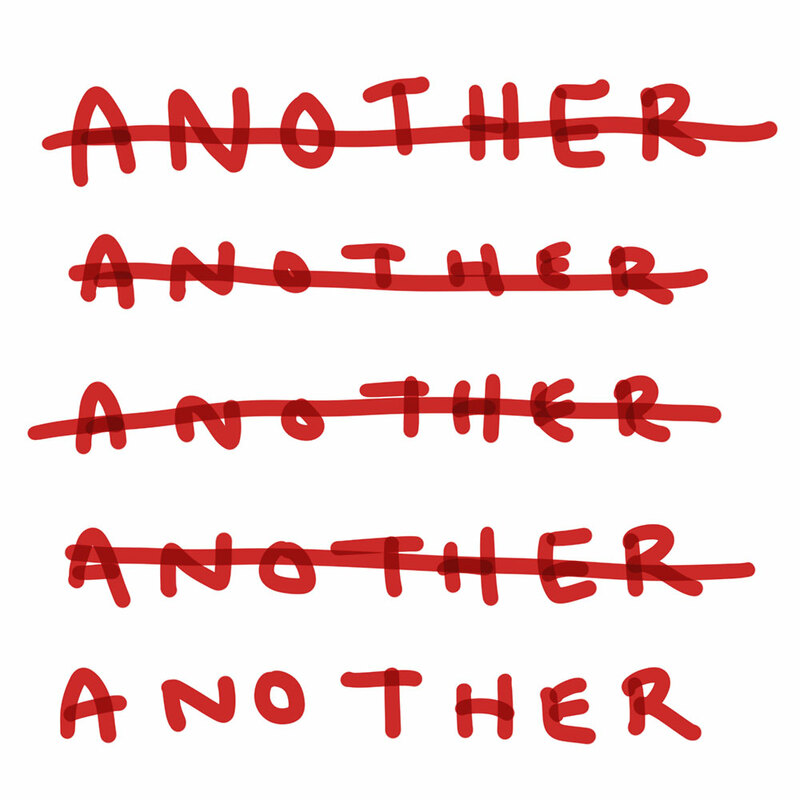 This term is fine but abstract. I come back to the word “doodles”. Doodles are cheap. Doodles are non-intimidating. Doodles are freeing. You can put down a lot of doodles—and throw them out if they don’t work. No big deal. They’re just doodles. But sometimes a doodle is the beginning of a masterpiece.